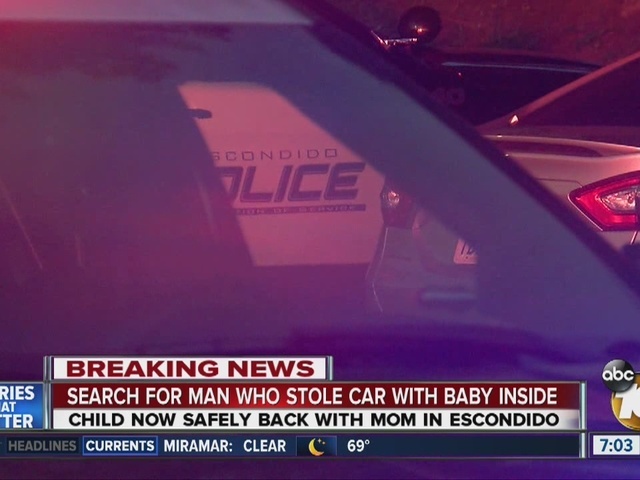 Escondido police are looking for a man who stole a car with a baby inside but then abandoned the vehicle with the child left inside. Police said the Toyota Camry was reported stolen just after 3 p.m. in the 1000 block of Rock Springs Road. The reporting party told police a baby was seated in the back seat. About 45 minutes later, the car was found in an area near E. Grand Ave. and Katella Way, police said. The suspected thief was nowhere to be found, but responding officers found the child unharmed in the car. Late Wednesday night, a similar situation happened in Chula Vista . A man was arrested on accusations he stole a mother's car that was parked outside a motel with a baby boy inside. 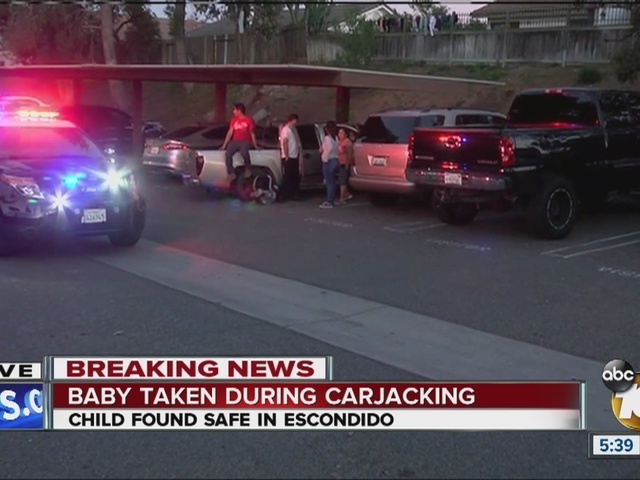 The vehicle was later found in National City, with the child safe inside.